To help consumers remember the real impact that their clothing consumption has on the people who create it, a group of activists decided to make the world’s largest t-shirt. The idea is to raise awareness about fair trade in India, so the group, led by Fairtrade India, spun 380 kg of cotton seed into 5,000 km of cotton yarn. The eye-catching design will hopefully help people connect the farmer with that package of t-shirts sitting on the store shelf. To help consumers remember the real impact that their clothing consumption has on the people who create it, a group of activists decided to make the world's largest t-shirt. 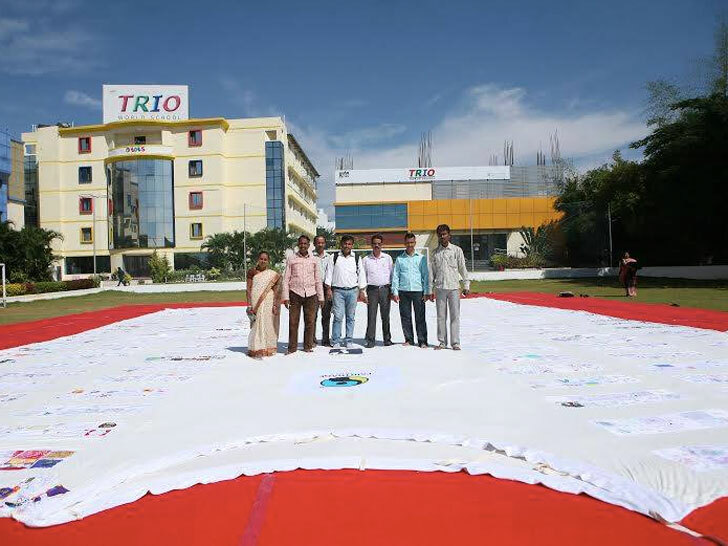 The idea is to raise awareness about fair trade in India, so the group, led by Fairtrade India, spun 380 kg of cotton seed into 5,000 km of cotton yarn. The eye-catching design will hopefully help people connect the farmer with that package of t-shirts sitting on the store shelf.